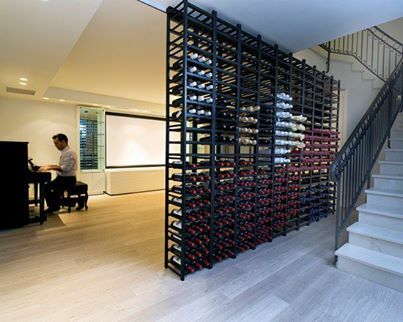 What a great room divider and wine storage idea. A Bergkelder cheers to this multifunctional wine rack! Featured wine of the day: Lomond Syrah 2005. Deep ruby red. Notes of white pepper with hints of wood spice and berry follow through on the palate. A beautifully integrated and elegant wine with supple, soft tannins. Robust slow cooked casseroles, Lamb Neck or Oxtail potjie, or a Pepper Steak.